Ma Yun, or Popularly known as Jack Ma is a business magnate, investor, and philanthropist. 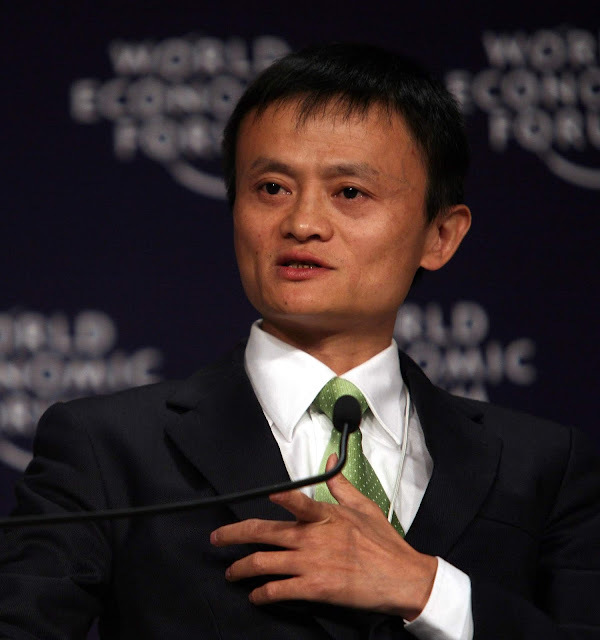 He is the founder and CEO of the Alibaba Group. He was born in Hangzhou, China in 1964. From a very early age, he became passionate about the English Language and used to provide a free tour service in exchange for English learning. During this process, he made a lot of Foreigner friends and one of his friends gave him the nickname Jack. In 1988 he graduated with Bachelors in Arts degree in English. After graduating he started a translation company but when he traveled the US to help a Chinese firm over there, he was introduced with the internet. He saw a great opportunity on the internet and realizing its potential he started Alibaba, a consortium that sells and distributes product online, internationally. Jack Ma is now one of the richest people in China and the world with an estimated net worth of $33.5B. But this all was only possible with a lot of hard work and dedication along with his perseverance and charisma and some Rules For Success. Meet Jack Ma's 10 Rules For Success which can give you a lot of motivation and inspiration going forward in your life. You have to prepare yourself to get used to the fact that you will hear rejection and refusal many times, but never give up. Before starting his business Jack Ma had to hear a lot of rejection but he never gave up and kept trying as much as he could. Jack Ma applied for jobs in many different places including the police and KFC but was always denied a post there. He also tried to get to the Harvard as many as 10 times, only to be rejected again. The secret code of success is to keep your dreams alive. In a conference, Jack Ma shared the secret success of Alibaba. His company Alibaba is inspired by the fictional character Alibaba and in the same way, he had a chance to enter a secret cave with the code 'Open Sesame'. People working on Alibaba always keep their dream alive and the dreams we combine with proper actions do come true. The Key to success in any business is to create a culture of helping others rather than just having your focus on making profits out of everything, which has been the secret to the success of Jack Ma. The money will keep coming in the process but what's important is to make a culture that will help in building a healthy society. Involving all the employees in decision making will only help you win in the 21st century. The people you keep in the organization should be better than you, smarter than you. Jack Ma started with 18 odd people and now to have over 20,000 employees are all possible through the focus on mission, values and a culture of helping one another. When he first started Alipay, there were people telling him that it was not a good idea. Some even said that it was his stupidest idea ever. However, Jack never listened to such people and ignored the negative people and naysayers and continued with his project. Now Alipay has more than 500 million users who enjoying a great success of Jack and living his dream. Jack Ma has learned a lot from many sources including movies. He sought inspiration from the films like Bodyguard, Godfather and Forest Gump. He was also started to write a good speech inspired by Whitney Houston from the movie Bodyguard. He realized that speaking from the heart by acting naturally anyone can create an impact. Jack Ma says learning to refuse and staying focused on what you do is one of the most important element to be successful. He always remains focused on the things he likes and chooses only that opportunity which is consistent and fruitful to the business. Having a good name for your business is very important. The name should be eye-catching and familiar to everyone around the globe, especially at the time when the internet is all over the world. Jack Ma wanted his company's name to be familiar to everyone, so he decided to choose Alibaba as this name is quite popular and a household name for everyone. In addition, Alibaba starts with the letter 'A' and alphabetically it appears always on the top made him more certain about the name. Jack Ma always puts his customers on the top of everything, as far as his business is concerned. His philosophy of putting the customers first, employees second and the shareholders third is very justifying. It is the customers who provide the revenues for any business and the employees drive the innovation while the shareholders are replaceable at any time, so they are not so important. When it is a hard time for any business the shareholders are the first to leave the company while the customers and employees keep hanging around. Jack Ma strongly believes that wherever people complain, there is a great number of opportunities hidden, He always believed that instead of complaining you have to look for the opportunities present there. If you want to sustain and grow your business you must try to solve the social problem. You must have the passion for your work and that passion has to be combined with a hard-working spirit. You go to your work in the right direction and driven by hard work and passion, you never fail. You must give your everything and go a step further than others around you. You need to keep innovating and it will surely help you to compete with your rivals that are in a large number and that is exactly the approach of Jack Ma and this approach has made him taste so much success on his life.